Spend Summer in the Museum! This class is for all the art lovers, art critics and those with questioning minds. 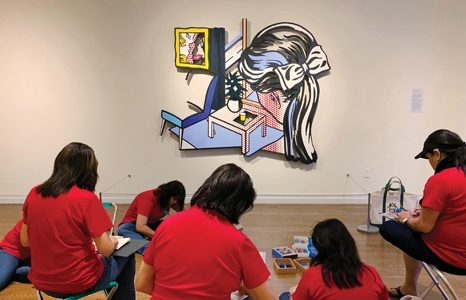 Each class, students will visit art galleries in the Museum and then respond to the art through discussions and inspired art-making. Don’t miss this rare opportunity to learn more about the Museum and its incredible collection of art.